Here are some caterpillar images I took during my last session with the SEM (scanning electron microscope). I have cropped and edited them, these versions are just for fun – I’m saving most of my shots for potential publications. I would like to give people a sense of what is hidden in the world around them – these are landscapes that exist on such a small scale. Yet they do indeed exist, and can be found with enough patience and determination. Awaiting you could be great beauty, or potentially nightmarish scenes. Regardless of how you feel about insects on an emotional level, I encourage you to consider the complexity these creatures hold and the wonder they can provide. Acronicta falcula. 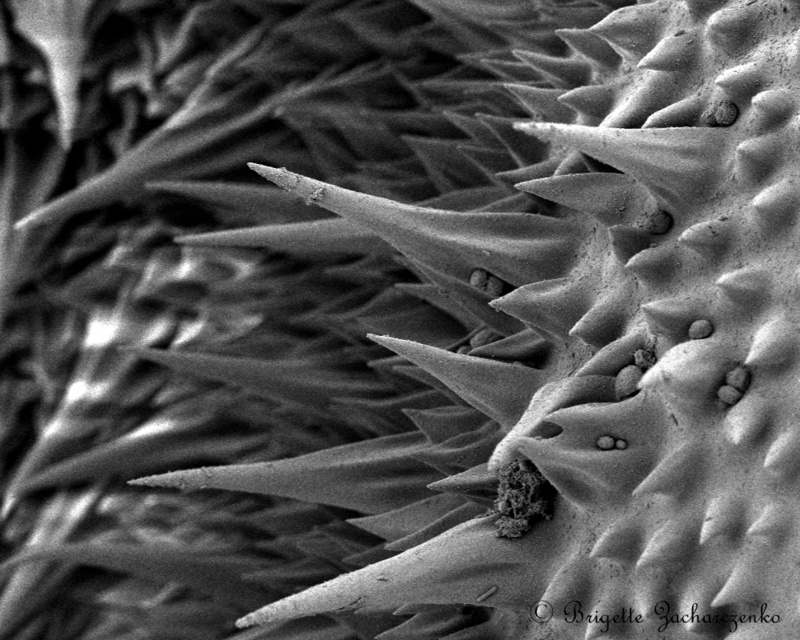 Crochet hooks (little claws on the abdominal prolegs), 500x magnification. Acronicta falcula. 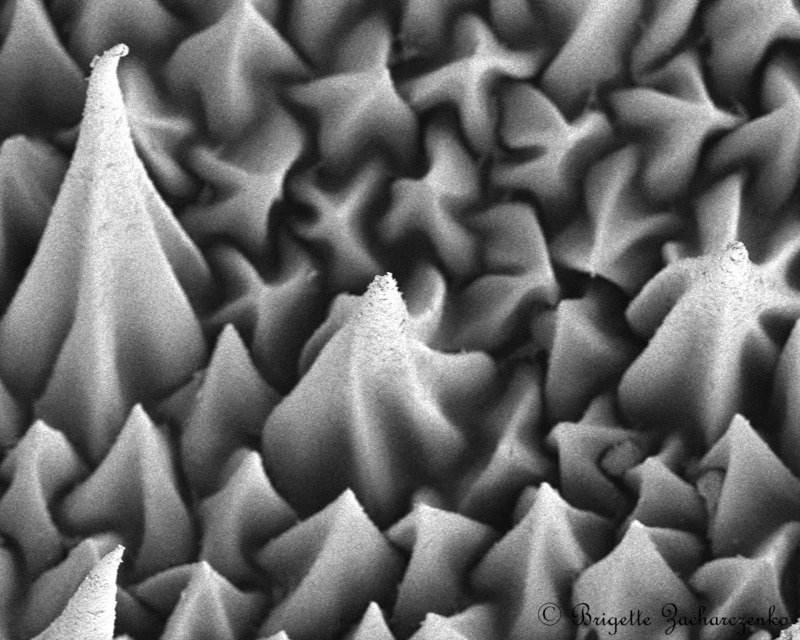 Skin texture, 1000x magnification. Acronicta falcula. Skin texture, 2000x magnification. 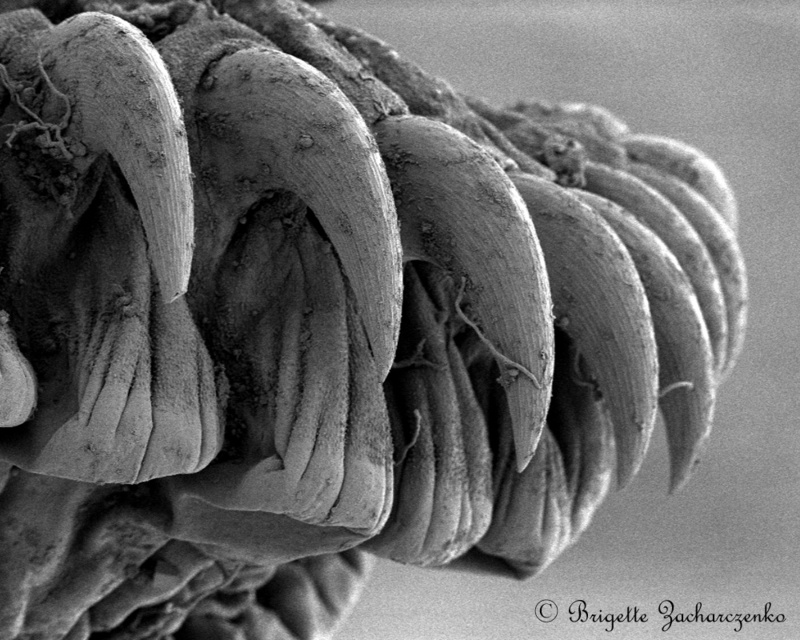 Posted on April 9, 2012, in Acronicta, Acronictinae, Invertebrates, Lepidoptera, Noctuidae, SEM. Bookmark the permalink. 3 Comments.